Groove can't sync lossless audio? I can't figure out why my uncompressed audio files can't sync to my windows 10 mobile phone...is this something on my end or a limitation? 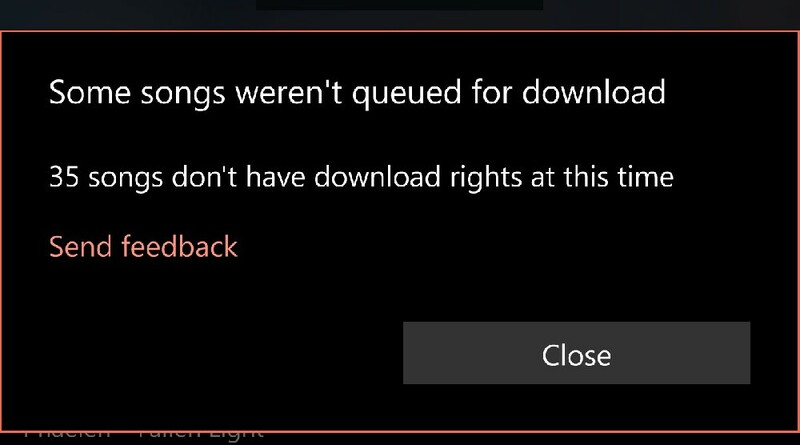 I get two types of errors and one of them explains it's due to download rights. Any ideas? Streaming I could understand. Syncing it I assume is the same limitation? [HELP] Can I Refuse The New Windows 10 Creators Update? By Vivio vrvly in forum Ask Dan! Can you identify this text as a virus?